Founded in 1979, Cave Direct is a leading supplier of craft and speciality beers to the UK Drinks Trade – proud to work with leaders of old and new-world beer, from Beavertown to Westmalle. 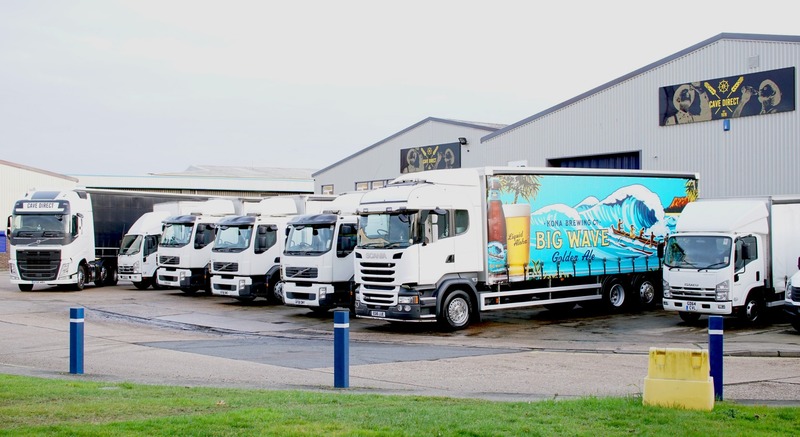 Operating out of our depots in Kent, Bristol, Manchester and Newcastle we directly deliver over 300 lines of draught and packaged beers via our own fleet of drays. We are exclusive or lead UK importers and distributors for a great range of brilliant beers, including Paulaner, Kona, Red Hook and Lervig. We’re also the UK's biggest supplier of Belgian beer, with relationships going back decades with family brewers, Trappist abbeys and a host of smaller craft breweries. We also work with many of the new wave UK breweries, including Beavertown, Wild Beer and Tiny Rebel. If you are buying for yourself or looking for a gift, our sister company beermerchants.com delivers to your door and has over 900 craft and specialty beers. To find out more, call us or drop us an email. You can also sign up for an account with us today.